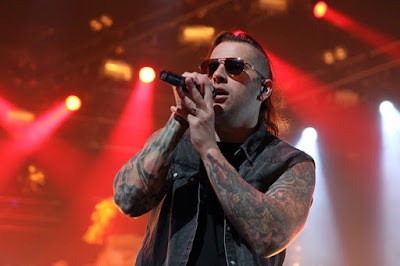 Avenged Sevenfold's M.Shadows was recently interviewed by "Talk Is Jericho", you can read an excerpt below. Avenged Sevenfold announced new drummer, M.Shadows said: "To be honest, ‪‎Brooks Wackerman‬’s name has always been in the mix. It was one of the names we were throwing around when Jimmy passed away in terms of who was going to step up for Nightmare. We felt Mike Portnoy was the right choice and we still feel that way. Mike just destroyed on the record. He was perfect. But at the time, our tour manager brought up Brooks’ name as well. But at the time he was also busy with Bad Religion and people were going to look at it differently because he was a punk drummer at this point."